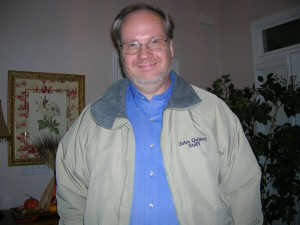 On Saturday night, August 5, 2006, dozens of former WAKY and WKLO employees gathered -- along with family and friends -- at Louisville's Clifton Center to celebrate the time spent at Louisville's two legendary Top 40 stations of the '60s and '70s. This page features photos and sound clips from that reunion. The open event was a fundraiser for Big Brothers/Big Sisters of Kentuckiana. Over $8000 was raised through admission charges and a silent auction, which included items like WAKY gold records and DJ paintings. The Monarchs, one of Louisville's favorite local bands, entertained with two great sets of musical memories (and many of the original members). Besides rekindling old friendships with former coworkers and listeners, two awards were presented before the doors were open to the general public. 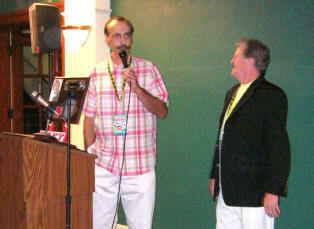 Michael Louis Griffin and Mason Lee Dixon surprised John Quincy (the curator of the WAKY and WKLO tribute sites) by reading letters from former WKLO PD Terrell Metheny and former WAKY PD Johnny Randolph proclaiming him an honorary WAKY and WKLO air personality. 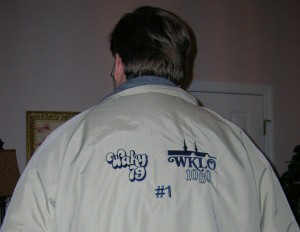 The letter was later signed by other WAKY and WKLO folks (read the letter here) and Quincy was presented a customized "staff" jacket with the logos of the two stations on the back. This 27,092 KB executable file contains the slideshow we looped in the Reception Hall at the 2006 WAKY-WKLO Reunion. After you download it to your PC, double-click on the file to run it. Big Brothers/Big Sisters of Kentuckiana, who arranged the venue, food, cash bar and entertainment. The Monarchs, for donating their talents. Louisville's WRKA for their on-air promotion of the event, the sound system and those great-looking laminates they provided for the former WAKY and WKLO on-air people. The Louisville Sun for their promotion of the reunion, and for arranging for videographers and a photographer to capture the memories. Mike Griffin and Rob Calhoun for behind-the-scenes technical assistance. Angie Gimmel for her invaluable help in working with us and Big Brothers/Big Sisters to plan and coordinate the event. Those who made donations to cover the expense for the awards, and to Johnny Randolph, Karl Shannon, Mike Griffin, Mason Lee Dixon and Terrell Metheny for their help in award creation. The WAKY and WKLO DJs, newspeople and other former employees who came, all of which paid their own way in (and many of which returned to Louisville at considerable personal expense).